This is a regular blog post. Show notes and links to show audio appear in other posts. Last night, I wiped the bugs off the CAP Cessna 182T Nav III, buttoned up the plane, and then drove home with that sense of satisfaction that comes after a successful checkride. I had just passed my CAP Form 5 checkout in the aircraft. I’m now qualified to fly the airplane both VFR and IFR for CAP. For those not familiar with CAP procedures and/or the aircraft, I offer the following. CAP flight operations require FAA currency and proficiency, plus a little extra special sauce. The ability to fly to FAA standards gets you into the diner on the morning of your checkride. But then there’s Form 5 with which to contend. Form 5 is simply a checklist of skills that CAP expects its pilots to have. They’re similar to the FAA PTS, but some require a little more of the pilot. For steep turns, CAP requires 720s instead of 360s. When possible, many CAP check airmen require engine failure simulations all the way to the ground (usually done at an uncontrolled airport with a runway suited to the task). You get the idea. If you’re going to fly red, white, and blue airplanes with the CAP insignia, use a “CAPFLIGHT” callsign, fly cadets and AFROTC personnel on orientation flights, search to downed airplanes, and other CAP missions, CAP wants superior skills and wants them demonstrated. The Form 5 ride is just like an FAA checkride in most respects. You brief, you fly, you debrief, and you get (or don’t get) your signoff. But there are also different kinds of Form 5 rides. The ride yesterday was to qualify me to fly the C-182T Nav III for training and currency and, once I have my Emergency Services card, I’ll be qualified to transport personnel and equipment for CAP missions. Additional training and check flights are required if you want to fly as a mission pilot or in other roles. The Form 5 is a great way to demonstrate your pilot skills against objective standards. You get to fly well-maintained aircraft and fly with eminently-qualified check airmen. Getting and staying qualified in several CAP aircraft is a great way to keep your edge and get valuable commentary on your flying. And, if you fail a Form 5 ride, it doesn’t affect your FAA qualifications. You’re still a pilot and can go rent all you want from the FBO. You just need to get through the Form 5 to fly CAP aircraft. The NavIII variant of the C-182 comes with the Garmin G1000 integrated flight deck and the GFC 700 autopilot. It’s among the most sophisticated avionics packages available in general aviation. Most obvious to one looking at the panel for the first time are the twin 10” LCD displays. The Primary Flight Display (“PFD”) in front of the pilot gives you all of the information you’d expect from the usual six-pack of steam gage instruments and then some. The display on the right, the Multi-Function Display (“MFD”), gives you powerplant, weather, navigation, flight management, and other information . Isaac Newton and Daniel Bernoulli still have final say about how the airplane flies, but you have a lot of tools available to help manage the airplane and conduct the flight. You give the airplane to the autopilot at 800 feet AGL and don’t take it back until you’re as little as 200 feet AGL and 1/4 mile off the end of the destination runway. Very cool. None of this is to say that you must use the avionics all the time. But it is to say that you have a lot of tools available to you. It’s easier to stay ahead of an airplane that can fly itself en route and in the approaches better than you can. I have always said that any kind of flying, and especially instrument flying, is about bandwidth packing. You only have so much bandwidth available. You can only think about so many things at once. The more you internalize processes, commit them to muscle memory, or find ways to automate things, the more bandwidth you have available to concentrate on what’s next. 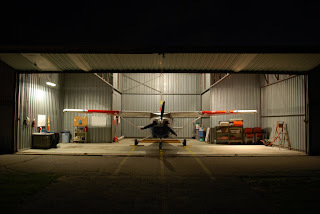 The C-182T itself is a generally 172-shaped, but has a six-cylinder 235-hp engine in front and a higher cowl as seen from the flight deck, and it’s pretty nose-heavy and likes to come out of the sky quickly when you reduce power, especially when you hang out the barn-door-sized flaps. It’s not uncommon for C-172 drivers (like me) to have trouble handling the sink rate and related issues with the airplane. It’s also not uncommon for pilots coming to the C-182 from the C-172 or similar airplanes to bend the firewalls of C-182s by hitting the nosewheel (not hard to do – That engine up there is heavy!). No surprises on this ride. There never are. 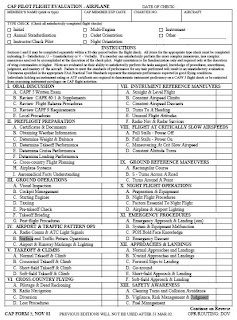 The Form 5 criteria are all pretty well laid out and the FAA PTS is always there underlying the whole thing. Maj Alex Craig (the check airman who also did my instrument add-on in the C-172 in February) had me plan an IFR flight to Bad Axe (KBAX) up in Michigan’s thumb. We launched and I flew to the Pontiac VOR (PSI), the first waypoint, and then turned north toward KITNS, all with the G1000/GFC 700 flying the airplane from 800 AGL on. We pulled it off autopilot, did some clearing turns, dropped the flaps, and slowed it down to between 50 and 60 KIAS for slow flight. Then a left-turning power-off stall and recovery to cruising altitude. Another clearing turn and then the power-on stall turning to the right with a full break. A lot of sky in the window, baby! This airplane likes to climb! BE ON YOUR RUDDERS AND BE COORDINATED! The stall, even with a full break, was very benign, largely because we were very well-coordinated through the break and I stepped on the left pedal to right the airplane immediately after the break. We recovered 100 feet above the rotation point, so I feel pretty good about the survivability of a departure stall as long as I was on the rudders (and I usually am). After that, I gave the aircraft back to the autopilot and continued en route. Three miles from Lapeer (D95), out comes the throttle and off goes the autopilot. We did a simulated engine-out emergency and I rocked the checklist pretty well. Yeah, I planned the flight to pass directly above Lapeer, so I had a pretty good idea of where we were going, but still had (as I usually do) the NRST inset in the lower right-hand corner of the PFD so that I could find the airport quickly and know the distance and CTAF frequency. I should note that 123.0 (the CTAF for Lapeer) was loaded into the backup for COM1 when I looked up about five minutes before the engine-out, so I had a pretty good idea of where we were going. I got the airplane down to 50 feet with a slip and lots of flaps. Had it been a real emergency, we would have run off the end, but all personnel would likely have been fine. Alex sent me back around for a short approach, pulling the engine downwind abeam, and I blew yet another power-off by being too high. Checkride in danger . . . So he gave me one more shot. I hung it out a little longer this time and brought it in nice and soft in the first half of the runway. Whew! Several short and soft field takeoffs and landings after that at Lapeer. These I nailed. The short and soft landing at the end was a thing of beauty. Then on with the view-limiting device and proceed to Flint (KFNT) for the approaches. We shot the ILS 27, the RNAV 9, and the VOR 18. For the ILS, he gave me the all of the avionics and the airplane flew a beautiful ILS approach to minimums. Yeah, I configured it and monitored it like I had designed the system, but the airplane, for its part, flew well. For the RNAV, Alex took away my autopilot so I had to hand-fly it. The guidance is so good on the RNAV approaches with the G1000 that, as long as you can fly basic attitudes and airspeeds on the gages, it’s a dream. The G1000 even makes a glideslope for you and you just slide doen it to minimums. For the VOR, Alex pulled the AHRS circuit breaker, which killed my primary instruments and left me with the backup instruments, the GPS course, and the VOR needle to fly. I flew it much better than I had expected to with only one real exception. G1000 pilots seem to stand alone in CAP and pilots’ lounges everywhere. They’re kind of like the aloof UNIX guys, only without the suspenders and neck beards. They know things that you don’t know. (And, yes, I know things that you don’t know. Kiss my glass.) But, if there’s schism between glass pilots and steam-gage pilots, there’s also schism between those who fly glass with north always up on the displays (“north-up” pilots) and those who fly with the stuff in front of the airplane’s nose at the top of the screen (“track-up” pilots). And the two will never see eye-to-eye. I’m a track-up guy. Alex is a north-up guy. Alex isn’t disagreeable about his north-up-ness. He’d willingly fly a track-up ride with a track-up pilot. I could have flown the ride track up with no problem and Alex, though benevolently thinking me mildly retarded for doing so, would have humored me. Have you ever had complete brain farts when you forget how to spell “the.” Or similar moments where you forget your name or where you live? Here I was configuring and flying the avionics like I designed them and even getting compliments from Alex (an avowed G1000 fan who’s crazy good with the system). And I realized that I had completely forgotten how to switch the display over to track-up. So I flew the ride using north-up for the first time. How hard could it be? On the VOR approach, under the hood and partial panel with only the mag compass, the VOR needle, and the GPS display on the MFD to guide me laterally, I was watching the needle for fine guidance and the MFD for gross guidance and trending. When you fly a VOR 18 approach with track-up, the airplane flies up the screen, you just turn left or right according to the trend arrow, and the airplane turns in the same direction. Do that north-up and the airplane flied down the screen and everything’s reversed. I got a good 40 degrees off course to the right before I realized that I was reading the MFD backward. Fortunately, I realized what I was doing, called it out, and did an immediate turn back to the course. I very nearly lost the needle to the left, but we were still several miles out and I had enough room to bring it back. It would have blown the ride if I had let it go to full deflection, so that was critical. On the way back, I did the steep turns under the hood. Two full turns to the left and two more to the right. 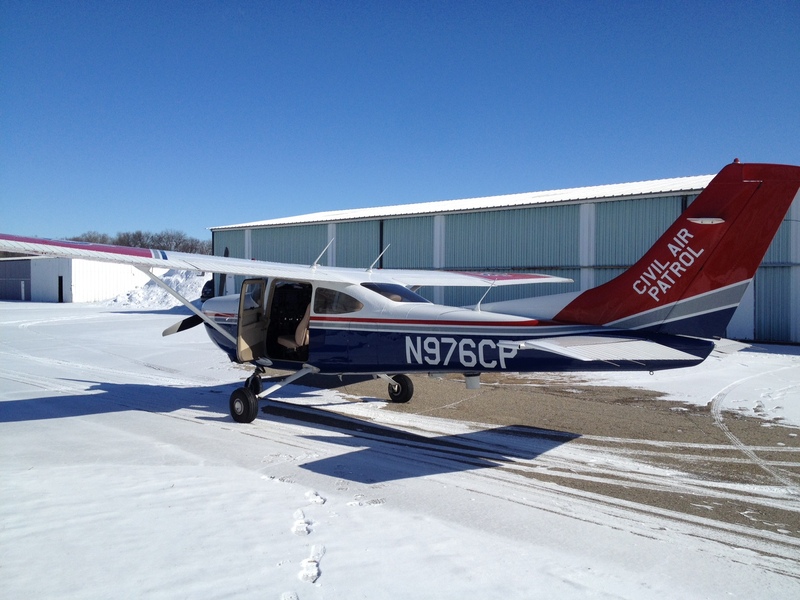 If I had problems with the C182 in the landings, we made friends during the airwork, especially the steep turns. It’s a big, stable aircraft and I just rolled in 50-60 degrees of bank and watched her go around with only minor changes in pitch to stay on altitude. Just beautiful. And Alex complimented me on them. One more landing back at Pontiac and I was inducted into the Glass Mafia. I dropped off Alex at Pentastar and then taxied the aircraft back. $90 for the airplane and $104 for gas. 2.5 hours in a $250,000+ airplane with a Cessna factory-trained ATP-rated check airman for less than $100/hour wet all in. At the risk of being a nag, if you’re a pilot in the US and you’re not a member of Civil Air Patrol, what’s wrong with you? Seriously! I’m still basking in the glow of yet another successful Form 5 ride. Yeah, I have stuff to work on. Yeah, it wasn’t perfect, but I demonstrated competence to PTS and CAP standards by objective measures and it feels good. Many thanks to Maj Alex Craig for the ride. 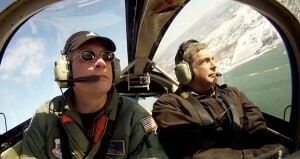 And many thanks to Capt Tim Kramer, who did all of my training in the aircraft. What’s next? Mission pilot? Time to retreat behind a shot of Jeremiah Weed and a bottle of Leinie’s and identify the next summit to challenge. Smoke on! These are the show notes to an audio episode. You can listen online right here by clicking: http://media.libsyn.com/media/airspeed/AirspeedCAPForm5IFR.mp3. A good pilot is always challenging himself or herself. And sometimes that challenge comes in the form of demonstrating the same skills that you’ve already developed, but doing it in a different forum. 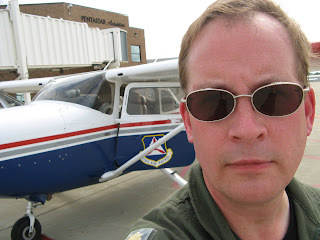 As many of you know, I’m a captain in the US Civil Air Patrol. I don’t wear captain’s bars because I’m such a hot pilot. I got ‘em along with the appointment as a legal officer for CAP and I currently serve as the asst. legal officer of the Michigan Wing. I finally succumbed to embarrassment last August and put my time and flight skills where my mouth was. I’ve been a member of CAP since 2004, but I hadn’t actually flown in a CAP aircraft until August of last year. In order to fly for CAP, you have to start out by having all of the FAA certificates and ratings and currency that would otherwise be required in order to fly the category, class, and type of aircraft you’re going to fly for CAP. Additionally, if you’re going to fly search and rescue missions or cadet orientation flights or perform other activities, there are PIC time and other requirements. Lastly, there’s the Form 5 checkride. 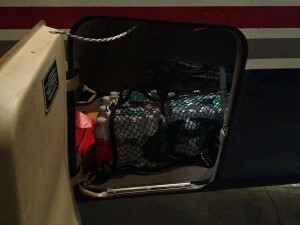 The Form 5 ride is named after the CAP form that the check airman fills out during the flight and signs off if you pass. CAP is a professionally-operated organization. You have flight release officers that act as dispatchers. You have to call and be quizzed about the tactical risk management score for your flight, the weather, the kind of flying you’re going to be doing, and other factors. Then you get a flight release number. If anything about the flight changes, you have to call up the Fro and tell him or her. And you call the FRO when you get back down so that he or she knows that you’re safe. After all, it’s CAP that would come looking for you if you went missing and it’d be embarrassing if it didn’t have as much information as possible with which to begin the search. The Form 5 ride is to the practical test standards set out by the FAA, where applicable. And some CAP operations have additional standards that you have to meet. But even if the standard is only to FAA PTS, you’re flying for CAP and you really want to demonstrate to the check airman that you’re above and beyond regular PTS and the obvious master of the aircraft. So, when I attended a squadron meeting in August of last year, they announced that the wing would have be gathering three or four aircraft and several check airmen and holding a Form 5 day at Willow Run Airport (KYIP) near Ypsilanti, Michigan. And I had run out of excuses. Big bad Stephen Force with his podcast and his aerobatic training and yadda yadda yadda. Okay, though guy. How about doing a Form 5? Actually, they put it much nicer than that but they were right. It was time to go put my time and energy and flying skills where my mouth was. 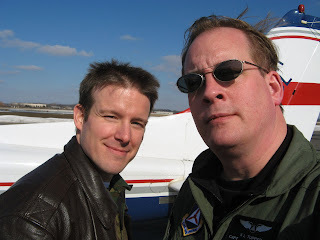 Long story short, I flew a C-172P with Maj Tim Kramer, who administered an excellent ride and taught me a few things. I walked away with a new Form 5 and was checked out to fly transport missions and to do proficiency flying in CAP Category 1 aircraft (i.e. round-gage C-172s and similar). But I didn’t do the full checkride with instruments. I went VFR only. I hadn’t flown a C-172P in a long time (if I’d flown one at all) and I was unfamiliar with the panel, especially the Apollo GPS. I didn’t feel comfortable doing a full instrument ride under those circumstances and I didn’t want to waste the check airman’s time. But a flight with a fellow CAP officer in January really made me want to go get the IFR add-on. 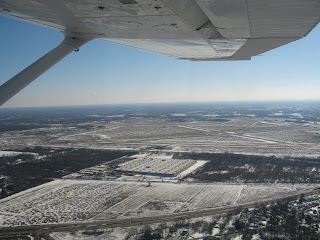 We flew from Ann Arbor (KARB) to Battle Creek (KBTL) and back in January. I flew there and he flew back. It had been VFR on departure from Ann Arbor, even though we had to wait for a break in some clouds and climb through a large hole to get on top of a layer at about 2,000 AGL. But, as soon as we got above the scattered layer, we were fine and, by the time we got the KBTL, it was severe clear and beautiful. I shot the ILS for 23 under the hood onto 10,000 feet of inch-deep snow. Very nice landing. Although I had no information for the tower about braking action because I wasn’t about to tough the brakes until we were at walking speed on the rollout. On the way back, with the other guy in the left seat, that layer had been scattered turned to broken and then to overcast. It became apparent that we would need to shoot an instrument approach into Ann Arbor. Fortunately, the other guy was Form 5’ed for IFR and we handily shot the VOR 24 approach. The layer was about 400 feet thick and it was ragged VFR below, so he put on his foggles until I called a half mile out. I really like flying with this guy and we’ve flown one other time as well. We’re planning some epic cross-countries this spring and summer. But that VOR 24 at Ann Arbor made me realize that I really needed to step up if I wanted to have this aircrew be fully functional for those cross-countries. I needed to get the rest of the Form 5 for which I qualified. I needed to go for the IFR add-on. So Scott, a new senior member in the squadron and a new 85-hour private pilot, volunteered to coordinate a Form 5 ride for both of us. VFR for him and the IFR add-on for me. Se scheduled for a Sunday in February. The Saturday before, I hit the sims at DCT Aviation. Anyone familiar with my Checkride Update series from the fall of 2007 knows that I flew a heck of a lot of sim in preparation for the instrument rating checkride. I’d rather have flown to prepare but it’s hard to fly reliably in Michigan in winter and I had only gotten up on two of the five flights that I scheduled in January. So sim was a must. Then I showed up at Ann Arbor early on Sunday, rusty, but ready to give it my best shot. All the paperwork was in order and Scott and I got through the oral at Mike’s Midtown Coney before heading to the hangar. I planned an IFR flight to Grant Rapids and Scott planned a VFR flight to Lansing. I filed my flight plan and off we went. We preflighted and powered up and taxied to the business end of the runway, which was Runway 6 that morning. When you do a CAP form 5 ride, you want to demonstrate aircrew skills. It’s nice that you can sit there and run the checklist by yourself, but you don’t get any points for that. I handed the checklist over to the check airman and used Crew Resource Management (“CRM”) immediately. Scott was in the back for my ride and I used him, too, to organize charts and the audio recorder. Here’s a little bit of the audio from the runup. Even among experienced pilots, I’m a fan of briefing everything and making sure that everyone understands exactly what their roles are so there are no surprises that we can avoid. You wouldn’t think that some of this stuff would be necessary with an airplane full or rated pilots. But I think it’s even more important in an airplane full of rated pilots. I once heard a saying that the amount of intelligence in a room remains constant. Only the number of people changes. If you don’t think that’s true, you’ve never seen a lobby full of otherwise incisive and talented lawyers milling around trying to decide where to go to lunch. So I brief everything. Out loud and the same brief every time. Here’s a little bit of my takeoff brief. They say that mediocre pilots assume that everything will go fine and are surprised when things go wrong. And they say that the best pilots assume that everything will go wrong and are surprised when everything goes fine. I try to be one of the latter. Here’s the parade of horribles that I call out before heading for the hold-short line. Then it’s time to get going. We taxi to the hold-short line. The callouts don’t stop on the runway. I call out the most important airspeeds as I roll out to the numbers. Rotate 55, Climb 79, Best Glide 65. And I usually add “smoke on” at the end. It’s the command by the leader of a multi-ship airshow team that tells everyone to turn on the smoke system. The demo has begun. And so it has. You’ll hear me trade the flight controls to the check airman at 100 feet AGL so that I can pull down my view limiting device. Then I take the controls back and call up Detroit Approach. We couldn’t tune and identify the Detroit VOR on the ground at Ann Arbor, so the first order of business once I had the airplane on the vector and trimmed out was to get that taken care of. There’s a marked radial from that VOR that passes just north of Ann Arbor and my flight plan called for me to intercept it and fly it to my first waypoint, HARWL, no doubt names for Detroit Tigers broadcasting great Ernie Harwell. I tuned and identified the VOR and approach immediately cleared me to HARWL. No checkride goes exactly as you expect it to and this was no exception. Just as I was about to get to my assigned altitude of 4,000 feet, the check airman got on the radio, during which communication both Detroit Approach and I learned that I was going to hold at HARWL. Callouts. Checklists. CRF. If you’re sitting there with the needle all centered and taking a break, you need to ask yourself whether there are any checklists to run or other things for which you should be preparing. So here’s the cruise checklist. The check airman states what is now clear. That I’m going to have a hold. He’s being nice. The hold that he’s giving me and for which he’s asking for Lansing Approach’s approval will be a direct entry – the easiest and most straightforward of the three hold entries. And that’s where the recording media on my MP3 recorder ran out. Turns out that I left it on a high-resolution setting and that ate the rest of the memory. But it was a good ride. We did a couple of trips around the hold and then headed for Jackson (KJXN). 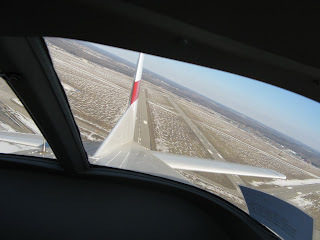 We shot the VOR Runway 6 twice, once with partial panel, and then shot an ILS to minimums. I was really busy the whole time, working through rust. I’m still unfamiliar with the Apollo GPS that’s in the panel of this airplane as well, and that didn’t help, although the check airman was very helpful in setting up the approaches and coaching where necessary. Long story short, I passed the ride on the hairy edge. The check airman suggested that I go out and shoot some more approaches under the hood and I agreed wholeheartedly. In fact, I’ve been up and under the hood a couple of times since with more instrument practice planned soon. Scott rode in the back of the airplane during my ride and even shot a couple of pictures for me. After getting gas at Jackson, Scott and I switched places so he could do his VFR-only Form 5. 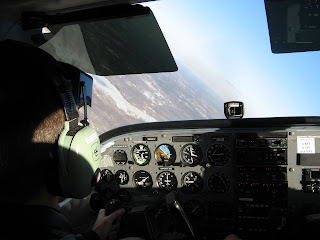 The last time that I was in the back seat of a C-172 was in the early 1980s when my Assistant Scoutmaster, Carl Robinson, took us up one afternoon. I’m a little older now and I weigh more, too, so Scott and I paid very close attention to the weight and balance calculations. We were within 25 pounds of max gross and two thirds of the way aft in the envelope, but within specs. The check airman commented as we got into the plane that Scott, as an 85-hour private pilot, would probably fly an excellent ride because he hadn’t learned any bad habits yet. Yeah, that’s partially true, but, if it were me, all of those firsts would have more than outweighed any good habits. So we taxied and took off and Scott flew an ATP-quality set of maneuvers. I sat on the right side of the back seat so that I could see the gages and it was a joy to behold. He nailed the steep turns, nailed the engine-out, nailed the stalls, and nailed just about everything else. I highly recommend flying in the back seat once in awhile to watch someone else training. It’s great to be able to just relax and learn from someone else’s successes and mistakes. And watching Scott’s ride was particularly enjoyable because he did so well. If you’re a private pilot in the US and you aren’t yet a CAP member, what are you thinking? The largest piston fleet on earth. All well-maintained, solid aircraft. More G1000-equipped C-182s arriving every month. Talented fellow pilots with whom to fly. And the opportunity to challenge yourself and take your flying to a whole new level of skill and confidence. Flights like this one happen every day in CAP. It’s an organization to which I’m proud to belong. This is a regular blog post. Show notes and links to show audio are in other posts. 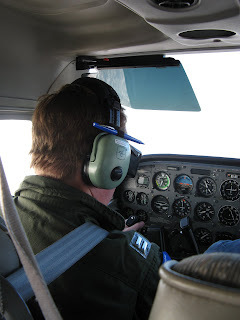 Capt Alex Craig administered the checkride. Two of us got our rides successively, first me and then SM Scott Gilliand. Scott is a newer private pilot and was doing the VFR checkride. I did the VFR Form 5 in August and was adding on the instrument checkout. I was first to fly. 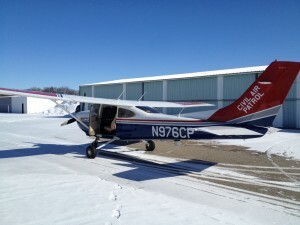 I planned and filed an IFR flight to Grand Rapids (KGRR) using airways. We diverted at HARWL, flew a hold there (one turn partial panel), and then shot three approaches in to Jackson – Two VORs (one partial panel) and one ILS. I think we were in actual for part of the way there. My hood covers the windshield reasonably well (and I sit low to allow full control travel over my kneeboard), but there’s always that little part of the window down and left that’s hard to block. I’d rather block it. It’s disorienting sometimes. I passed, but it wasn’t spectacular. I blew a couple of things. Nothing awful or unsafe, but nevertheless not perfect. Alex gave me a deserved admonition to go get a safety pilot and get the rest of the rust off. And I’m planning to do just that. Frankly, the IFR add-on was so that I could fly a little more capably when Norm Malek and I get out and start covering a lot more of Michigan this summer. We’ll both be CAP qualified instrument drivers and we’re getting pretty good at our CRM rhythm. That makes for a very capable aircrew and we’re going to fine tune it even more. Alex quipped that Scott, as a lower-time pilot, was likely to fly very well because he had no bad habits to break and was likely still flying to private PTS or better. And, in fact, Scott flew very well. He nailed the airwork and did a lot of it to ATP quality with the needles just frozen in place. Not bad at all for his first time in this airplane! I was really impressed from the back seat. We did Scott’s pattern work at Willow Run (KYIP). It was a really nice day with light winds and clear sky. Here you can see the steam from the Fermi II nuclear plant a long way off with Willow run in the foreground (we’re on a right downwind for 23R). That’s the kind of plume that tells you that there’s not much going on in terms of winds aloft. I don’t get to ride in back much at all. In fact, this was my first time in the back of a C-172 since I was a kid. We paid very close attention to the weight and balance on the flight. We were 25 pounds short of max gross and in the back third of the CG envelope (but well within it). I took a lot of pictures and had a pretty good time. It was also great to be able to just sit there and watch someone else take a checkride. It gives you time to think about your own flying and identify procedures that you’re missing or that you might want to add to your own tool kit. Ann Arbor (KARB) was swarming with airplanes. This was the first really nice day in a long time and it seemed like everyone was out for a few trips around the pattern. Even people hanging around the ramp who weren’t flying, just so be there and watch. We were number three in the conga line on the way back in to 24 and it was clear that the pattern was pretty full. Willow Run, just a few miles to the east, is a really well-kept secret. We had 23R to ourselves the whole time we were there. It’s still my favorite airport. On to more cross-country go-places flying this summer!